Not on the list, Kevin Dillon (maybe if I were a fan of Entourage, I would put him on), Janeane Garofalo (classic c-lister with no big anything) Peter MacNicol (that dude from Ally McBeal). Also this is a top 11 list. Why? You’ll see. 11. 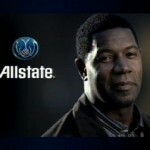 The Allstate guy (Dennis Haysbert) as President David Palmer, Day 1, 2, 3, 4 and 5. Some of you might think of him as that dude from The Unit, but I’ve never watched that show. To this day when those Allstate commercials come on, my girls get a little freaked out. I think his voice intimidates them. As someone who gets called “ma’am” at the drive-thru, I understand their point. I don’t want to say too much here or my man card could be revoked. Can I just say my mom made me watch it growing up? No matter what she plays, won’t she always be that woman from Designing Women? Oh cool, look Charlene married the president. That’s a long way from Atlanta. Wait no, I didn’t remember Atlanta on my own. Wait no, give that card back! Though all grown up now, she is still the obnoxious kid from Roseanne and always will be. I kept wanting her to be sassier on the show, thinking “hey, who tamed Darlene?” You want to know why I will never be allowed to direct/produce a show? Because I think they should have had one short scene where she is on the phone talking to her mom about the crisis and you cut to Roseanne Barr. I would do stuff like that all the time. 8. 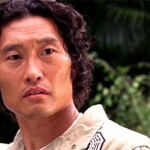 Jin from Lost (Daniel Dae Kim) as Tom Baker, Day 2 and 3. So I’m watching Agent Baker and I’m thinking, “Man, Jin has gotten a lot better with his English, no accent.” Also, I’m thinking that he is destined to be like the guy who goes down to the planet with Kirk and Spock and he is toast. However, he made a solid 11 episode, 2 season run. Way to go, Jin. 7. 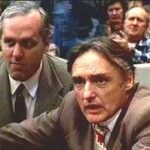 Howard Payne from Speed and Shooter from Hoosiers (Dennis Hopper) as Victor Drazen, Day 1. I don’t know where to put Dennis Hopper on this list. Those two pop culture characters are good, not great. The bigger question: How does a guy like that end up doing a small role on what at the time was a new show that may not have even made a full season? Was he friends with Kiefer? the producer? Did he lose a bet? Does he just like cashing checks? He did phone his performance in with his over the top acting and unbelievable accent. He was forgettable to the point that I had the list put together and double-checked IMDB to see if I had forgotten anyone, and I had. Couldn’t leave him out though. I’m rambling now. 6. Jon Voight owner of 1983 LeBaron Convertible (Jon Voight) as Jonas Hodges, Day 7. 5. 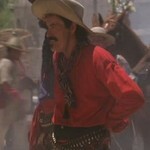 Curly Bill from Tombstone (Powers Booth) as Vice President Noah Daniels, Day 6. 4. 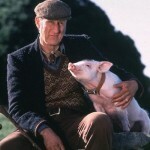 Arthur Hoggett from Babe (James Cromwell) as Phillip Bauer, Day 6. Would it have killed them for during one of the father/son moments between Jack and his dad for him to say, “That’ll do Jack. That’ll do”? Would it have? Come on. Another example of why you cannot put me in charge of your TV show. Does anyone else have a hard time imagining him as sinister? He has been in a lot of stuff, but he can never be sinister. He’s Arthur Hoggett for goodness sake. 3. 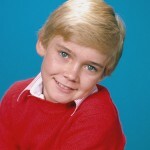 Ricky Stratton from Silver Spoons (Rick(y) Schroder) as Mike Doyle, Day 6. “Silver spoons togetherrrrrrr. You and I.” You can drop the y from your first name, you can be on NYPD, you can do whatever you want. You are the kid from Silver Spoons hacking into the government computer with Arnold Jackson. That’s it. That’s who you are. 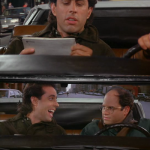 You can drop the k next if you would like. It’s not gonna work. Seriously, isn’t he trying to hard being the over-the-top tough guy? Shave the facial hair, call Carlton from Fresh Prince and let’s make the Silver Spoons reunion happen. 2. Samwyse from LOTR aka Rudy aka Mikey from Goonies (Sean Astin) as Lynn McGill, Day 5. Harrison Ford aside, has there ever been someone else with so many classic pop culture roles as Sean Astin? Ok, Sylvester Stallone (I sense a future list here). How about this: has there ever been someone with so many iconic pop culture roles that never became a superstar? Stallone, Ford, Ian McKellan are not going to do bit parts on 24. 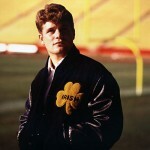 There may not be anyone else on the Sean Astin list. 1. 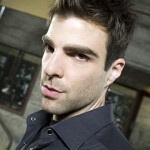 Sylar from Heroes (Zachary Quinto) as Adam Kaufman, Day 3. The fact that I don’t watch Heroes anymore almost made me put him down. (Thought this season was getting bizarre) Still, I believe Sylar may ultimately go down as one of, if not the best TV villains ever. Now that he is about to make a run as Spock, one of the most recognizable tv/movie characters of all time, puts him #1 on the list. Seriously, the whole time we are watching season 3, I kept waiting for him to take Chloe aside, do that thing with his finger and take the part of her brain that makes her so awesome as a computer hacker/analyst/dominator.